Arts centre comprised of several galleries and museums as well as performing arts spaces. 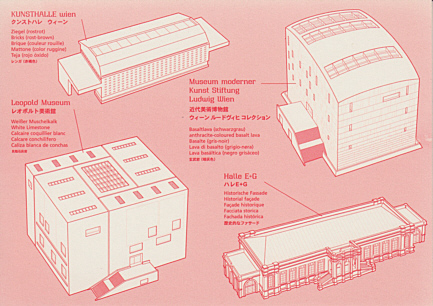 Halle E+G (Museumsplatz 1): complex of two halls used for various events and cultural performances. Built 1850- 1854 as "Winterreitschule" (winter riding school). 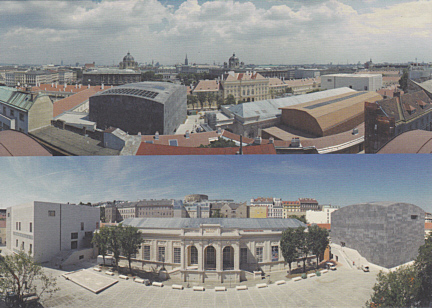 Reverse Text: "MQ MuseumsQuartier Wien"